My family enjoys this fish fry . try this preparation and add your comments. 4 tbsp Oil (for frying). Mix Chilli Powder, Jeera Powder,Turmeric Powder, Lemon Juice and Salt. Make a fine paste and apply this masala paste on the King Fish Pieces and marinate them for an hour. Heat oil in a Kadai and fry the fish pieces till golden brown. Serve hot with fried(chopped) onions , (chopped) coriander and curry leaves over them. 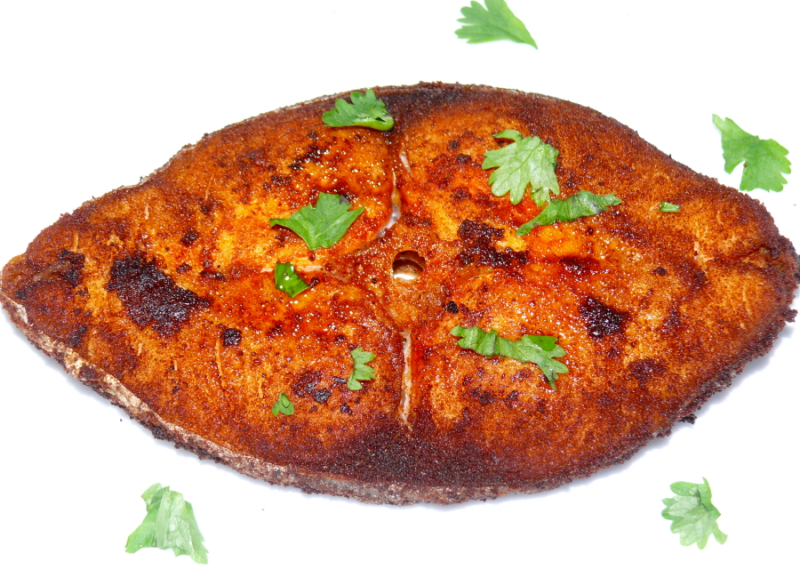 This is very tasty south-indian fish fry. chiristy, ur recipes r almost same to each other. only the name varies. eg. this dish is same as spicy fish fry. and u comment on urself. you can fry chicken also (the same method).